On the Bayou the heron stands alone. This stately bird reflects the quality of nature. 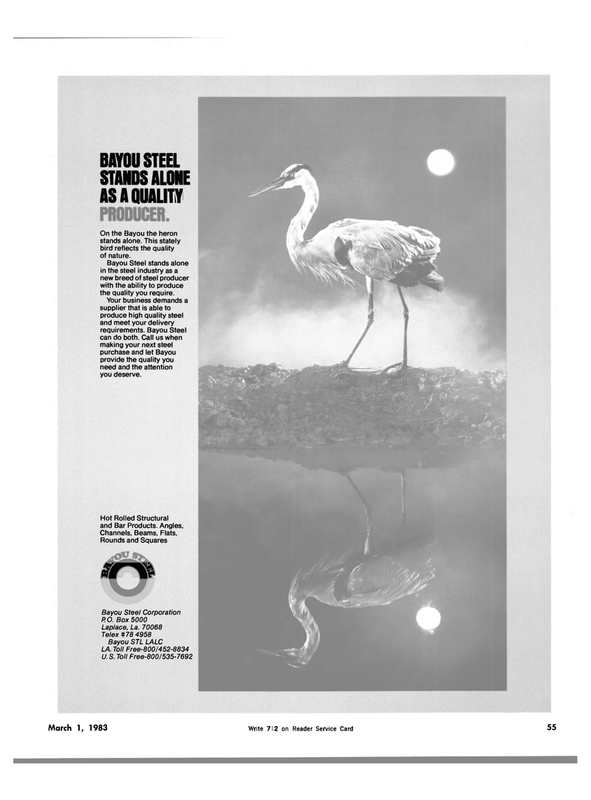 Bayou Steel stands alone in the steel industry as a new breed of steel producer with the ability to produce the quality you require. Your business demands a supplier that is able to produce high quality steel and meet your delivery requirements. Bayou Steel can do both. Call us when making your next steel purchase and let Bayou provide the quality you need and the attention you deserve.